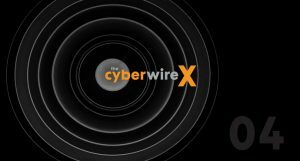 In the final episode of this four-part series, called “Ground Truth or Consequences: the challenges and opportunities of regulation in cyberspace,” Cyberwire examine some of the game changing high profile breaches like Yahoo, Equifax and OPM, along with their impacts and lessons learned. Our guest is Dr. Christopher Pierson, CEO and founder of BlackCloak and Jason Hart, CTO for enterprise and cybersecurity at Gemalto. This entry was posted in Articles and tagged Cyberwire, podcast, regulation, risk. Bookmark the permalink.